Brighten up the mood in any room with this colourful and bright design! 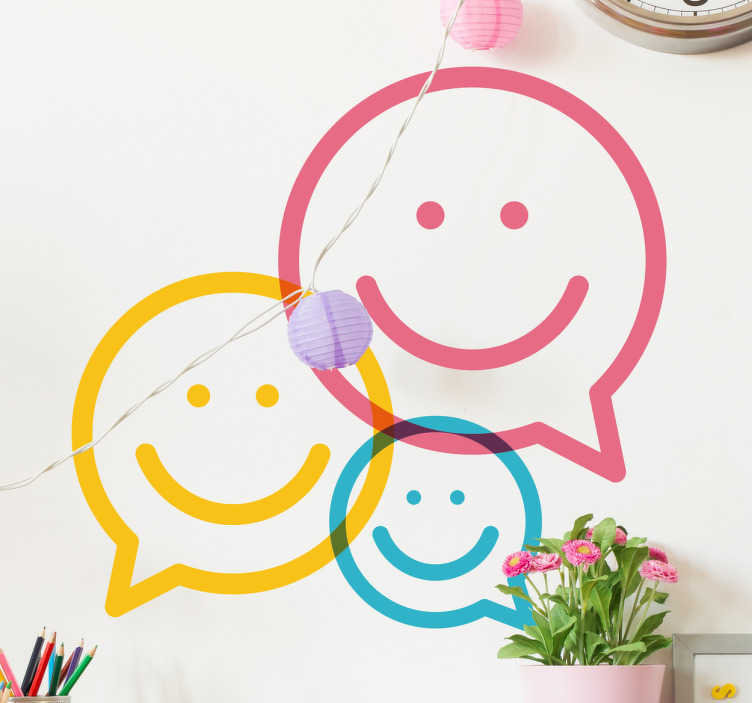 Featuring three happy faces in the shape of speech bubbles! Keep the atmosphere lighthearted and cheery in any room in the house with this easy to apply vinyl, which comes in a high-quality and anti-bubble material. Available in a variety of different sizes, and if you need a custom size just for you, feel free to send us an email!